1. Please post no more than one nomination for your favorite thread in the Beyond The Back Issues section (including Modern Comics Discussion, Comic-Related TV, Movies, and Video Games, and Comic-Related Toys, Artwork, & Collectibles) in our fourth year of the CCF (between April 30th, 2017 at 9:22pm EST and April 30, 2018 at 9:21pm EST). Previous winners are still eligible and should be judged specifically for content published in the fourth year of the CCF's existence. Please keep in mind that Favorite Fan Fiction & Fan Art is an entirely separate category from this! 5. Nominations and Seconds for this round conclude at the end of June 21st. I'd like to nominate Dizzy D's Wildstorm Revival Annotations thread. Outside of Brubaker's Sleeper and Ellis's Authority/Planetary, my knowledge of the Wildstorm stuff is sketchy at best, but Ellis' revival series drew me in, and DizzyD has provided a solid foundation for anyone like me unfamiliar with Wildstorm as to what's what, who's who, what's changed etc. in a wonderfully informative and articulate thread. It doesn't get a lot of traffic, but it's an invaluable resource for me. In much the same way, I really appreciate Søren's Squaxx dek Thargo? 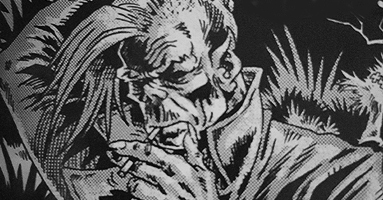 (new 2000 AD) thread, which provides expert insight into a series that fascinates me, but which is both too expensive and too plentiful for me to keep up with on my own. I nominate The X-men Film Franchise ( reviews by shaxper) here The majority of the discourse for this thread took place within the dates for the purposes of this celebration. I enjoyed reliving the X-men franchise of movies, which for the most part have been good to excellent. And I still think Wolverine : Origins was a great film. I second The X-Men film franchise, as it included interesting reviews, opposing views, counterarguments, trivia and everything I expect from a comic-book film review thread. I think we need an impartial judgment on this one. Would it count as a review thread? I consider it more of an open discussion thread than a straight review thread. In much the same way, I really appreciate Søren 's Squaxx dek Thargo? 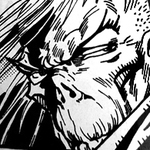 (new 2000 AD) thread, which provides expert insight into a series that fascinates me, but which is both too expensive and too plentiful for me to keep up with on my own. I second for Søren squaxx dek Thargo. Enjoy it and nice to see more beyond the tights and capes crowd. I'm going to nominate PapaShogun's Wonder Woman 2017 film discussion, because after posting that, and read the discussion, I actually went with people to see the Wonder Woman movie, and it generated an interest in me to watch the superhero movies at the theater, instead of just waiting for it to be available streamline on the internet or on cable TV like HBO.